What do you remember most about your wedding day preparations? In A Winter Wedding, a movie that I saw via UP Channel, Hallie and Lucas are recently engaged. Hallie has always dreamed of having her wedding in a tropical location. Hallie’s mom tries to take over the wedding, acting as if she were getting married instead of Hallie. I thought that Lucas’s parents were honest, down-to-earth people. Hallie’s mom….whew! She obviously had a lot of issues. Due to circumstances beyond their control, when their reservation at the tropical wedding location is suddenly cancelled, Hallie decides that she wants a winter wedding at Lucas’s parents’ home. This movie has a sweet and surprising ending. Some family secrets are revealed and you discover why the characters acted the way that they did, especially Hallie’s mom. Hallie and Lucas also struggle with their own doubts about their wedding day. There’s also a bit of a side romance, sort of, between the best man and maid of honor. I don’t want to give more details without spoiling the movie for you, but, just seeing that film made me think about my own wedding day. When we got married there were so many decisions. I honestly didn’t know the magnitude of what I had to do until we started planning. Sure, I’d helped out with friends’ weddings before, but, when you’re the bride, it’s just different, at least it was for me. My family stepped in to help but, the decisions…oh my! Every little thing required so much thought and effort! So, what do you remember most about your wedding day and the preparations? This has been fun, a real pleasure, blogging here. This is my last blog post because I’ll be taking a semi-hiatus from writing as I enroll into graduate school. I’ll be earning my Masters Degree in Financial Management and Accounting from The University of Maryland (online). After that, I want to take the CPA (Certified Public Accountant) exam. I’ll still release books while in graduate school. I got the rights back to all of my traditionally published books. I’ll be revising and re-releasing those titles and will include them in The Candy Beach Series! I’ll miss blogging here, but, I’ll be sure to pop in once in a while and leave a comment! Good luck with grad school and CPA exam!!! You’ll rock it! My MIL took over. I let her to keep the peace. Made my love easier all round. Oh, my, Mary! I hope you were pleased with your MIL’s choices! We got married the week after graduating from uni- so the preparation was crazy busy, in between studying, completing exams etc. I remember being very glad that we had friends who helped out! We had a very simple wedding, but I still remember feeling like there were so many decisions to make. In the end- we forgot to organise someone to pick up the cake (a last minute dash by family member on the day ‘solved’ that) and we hadn’t organised the songs until a couple days before (thanks to friends’ CD collection!!). Thx for the congrats, Wemble! So glad your wedding day was beautiful! We had a very simple wedding. Friends helped set up and tear down. Our daughters weddings were more involved but fun! Lord bless your studies. My mom planned a lot of my wedding because I was working full time and I lived three hours away from where the wedding was taking place. Hi, Lori! Wow, I can’t even begin to imagine living 3 hours away from the wedding venue! Hi Cecelia! Best wishes as you pursue a new chapter in your life. Wishing you success as you complete your Master’s Degree and pass your CPA exam. You will be missed. Looking forward to your visits. 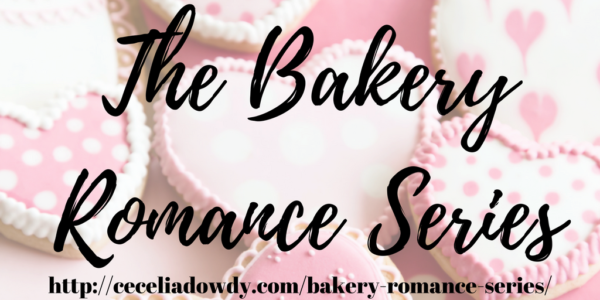 As a teen, I worked in a bakery, therefore I enjoyed reading your Bakery Romance Series. Wow! What an interesting topic – wedding plans. I planned my wedding while teaching 350 miles from home. The main hiccup was the caterer. My last day teaching was Friday, June 8. I wanted to get married on Saturday, June 23, but the caterer was already booked. Only June 16 was available. I was truly blessed because most details just fell into place. My mom was the housekeeper for a lady, who owned a dress shop. So I received my wedding dress at cost and my veil free. As a teen, I worked in a bakery and the baker made my cake and included a fountain free of charge. Hubby and I will be married 46 years in June. Best wishes! Thanks, Renate! Your wedding sounds lovely! I’m sad to see you leaving, and hope you come back to visit once in a while as a guest. The best part of my wedding was the church ceremony. I got to invite everyone I wanted and we had a lovely ceremony. It was just how I’ve always dreamed it would be and I loved it. Some of my friends even cried. We said our own vows, had a friend sing a special song, had our best friends with us for the wedding party and had some lovely songs to sing with everyone. Thanks, Priscila! Your wedding sounds amazing! Sad to see you leaving, but happy you are pursuing your dreams! Thanks wish you all the very best ❤️❤️! Wow, Paula! Sounds like your first wedding was costly! The second does sound nice and intimate. Congrats on your 15 years of marriage! What I remember most about planning my wedding was my husband coming up with ideas for the favors and the support of my friends. Happy memories for sure! I hope all goes well with your education and CPA exam!!! You looked beautiful and that cake looked delicious. Thank you for sharing. You’re welcome, Lucy! Have a blessed day! I don’t remember a lot about the preparations. That was over 40 years ago. But I did have a beautiful wedding and am still married to the same great guy. Good luck in your schooling. Thanks, Susan! Yeah, I do know that as time passes, it’s sometimes hard to remember all of those details! Have a blessed day! Our wedding had a low budget, but family and friends helped out a lot. My inlaws raised turkeys for the wedding dinner, and a friend and I drove the 90 miles a few days before and pitched in on butchering day! 38.5 years ago… we bought the farm from his parents 19 years ago and are still happily married – proof you don’t need a big fancy wedding. We’re going to miss you, Cecelia! Thanks, Valerie! I’ll miss all of you, too! Your wedding sounds nice and adventurous! I’ve never participating in a butchering day before! Best wishes on pursuing your degree! Thanks, so much, Susanne! Have a blessed day! I remember feeling overwhelmed because so many people were so excited and had so many opinions that I felt I had to please everyone. At the end of the day, we did what we felt was what God wanted, and it was a perfect day. The favor of God was all over us. We found a photographer that not only gave us an amazing rate, but was able to keep all the proofs. Our cake was also a steal of a deal created by a friend of the family. To this day it remains my favorite cake of all the weddings I’ve seen. Praying God’s favor on everything you put your hand to! Thanks, Julie! It’s best that you followed God’s plan! Cecelia–Sounds like a fun movie to watch. :) Your wedding picture is beautiful! We will miss you here on Inspy blog. Have fun in Graduate school. I know it will be hard work, but worth it. Thanks so much, Lindi! I will miss all of you as well! Wishing you all the best as you pursue your Masters degree! Hi, Kimberly! so funny about the strawberry cake! Your comment brought something to my mind! We didn’t keep our top tier. We ate it the day after the wedding, right before we headed to the airport to go on our Hawaiian honeymoon! Great memories indeed! Cecelia, best wishes for your continued studies in grad school. Our cake was terrible. It tasted like they had made it a month before. Oh, Merrillee, that’s so sad! NOBODY should have a terrible cake on their wedding day. It should be fresh and delicious! Thx so much for your best wishes! congratulations and good luck on the next leg of your journey. it is always wonderful to go back and remember special things that made our wedding day so memorable. thank you for sharing. my husband and i took ballroom dance lessons the year before we got married. we had so much fun picking out a song and practicing. we chose Waltz of the Flowers. we chose the waltz and it became a Venetian waltz, which is faster and has many more turns to it. we were just having fun. afterwards a lady came up to us and said that she had taught the Venetian waltz and had never seen it done so flawlessly. LOL When we started dancing, one of my shoes kept coming off, so i kicked them off. one of the shoes almost hit a friend in the head. opps. we still laugh about it, 35 years later. Hi, Lori! Sounds like you had fun dancing and that’s so awesome! Have a blessed day! Cecelia, you will be missed! Best of luck in grad school, though! I think one of my favorite parts of planning our wedding was picking out our china pattern and registering it. I felt incredibly loved that my colorblind, uber practical, engineer husband went with me and actually cared about our dishes. I knew that the choice was only important to him because it was so important to me. 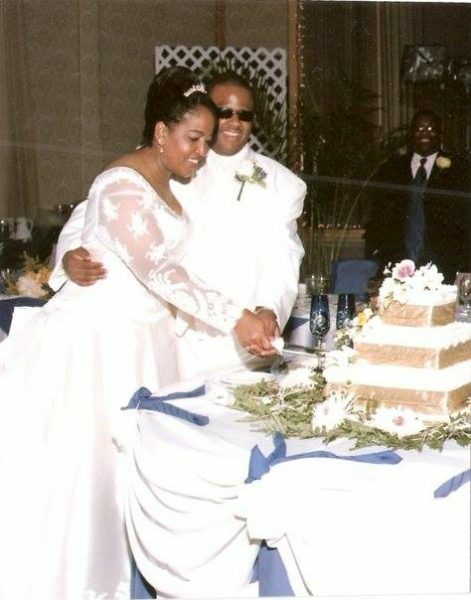 We’ve been married 25 years and I feel incredibly blessed–and we haven’t broken a plate yet! Hi, Sally! That sounds like fun! I love myself some pretty china! Actually, I don’t own a china set. I’m afraid that I’ll break it! I also do not have a cabinet/hutch in which to display such pretty items! Best wishes on this new stage of life. I pray you do well and make your goals! We had a simple wedding, in a small church. Because the church was so small, the boys got dressed at church, and the girls got dressed at my house. I wore my mother’s wedding gown. When it was time to travel to church, we found I couldn’t sit down in my dress! Drama! There I stood in my gown and I couldn’t fit in the car. My uncle had brought his daughter, the flower girl, to our house in his truck, so a decision was made. I rode to church, in my gown, in the back of the truck! After that, everything else was easy . . . .
Hi, MarciaAnn! Oh my! That sounds like a scene from a comedy show! Good luck with grad school and the CPA exam! I think I can relate to the movie lol – I haven’t seen it though. Oh my, there is NO WAY anybody would be picking my dress out for me! :-) I’m sure your MIL was just trying to be helpful, though. I found my wedding dress in a bridal catalog. I then purchased it at Hannelores (an upscale bridal boutique which has now closed). It was so nice purchasing that dress! Loved it! Congrats on your 16 years of marriage! All the best on your studies. I remember reading your HP books and enjoyed them. Will miss you here. I have never been married. The only one I was in I went to Canada to be a bridesmaid, she was going to have most things done before I got there so we could do things but then when I got there she couldn’t afford to do much (I was there 10 days) She was so disorganised but wouldn’t accept help til the last day or so when the other brides maid and I ended up doing a few of the small things. We had to go to the hairdresser about an hour away and we got back late. She then had to do a “Timmy’s run” (Tim Horton’s) and we were already late. Got to the church over 45 mins late. The Matron of Honor only finished her dress the night before the wedding. Yes, sounds like a very disorganized and busy wedding! I’m sure your friend’s wedding was beautiful, though! Yes it can be a rich fruit cake or boiled fruit cake it is often 3 layers and one layer is kept for the first year anniversary. It was good but I think the disorganization was a sign it wasn’t meant to be. The wedding went off well but the marriage ended almost as soon as it started. Just me and the hubby at the justice of the peace but we knew the Lord was there with us. Love that . Hi, Pam! The Lord is the most important One at a wedding! Have a blessed day! I had a simple rushed wedding at six months into my pregnancy. All I remember is the nightmare of finding any kind of dress, I had to go with a blue dress from a maternity store. I looked like a blue whale with a sunburn because my face was flushed from the panic of what I was doing by marrying someone I didn’t love just because I wanted my daughter to have a father. Was a mistake all around and I left him six months later when I realized he had no more desire to be an actual father than he did to be a husband. Oh my Cassandra, what an experience! I can understand your reasoning when you married, though! Have a blessed day! We decided we wanted to get married at 7 pm and have a dessert buffet and we had to stand up for our wishes. It just wasn’t done! My parents wanted to serve a hot sit-down meal for our guests and that was not what we wanted. We met in the middle so we had appetizers and desserts. Arletta, desserts and appetizers sound lovely! Have a blessed evening! I’m not married, but if I ever do, I’m going to think long and hard on what really matters. No fussing over every little detail. But there must be cake and more cupcakes! Love your picture; the berry blue and gold go well together. 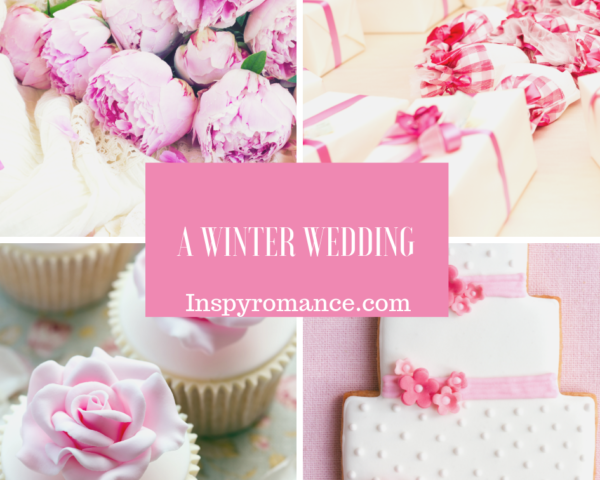 As far as weddings are concerned, I had a winter wedding, but very little preparation as it came about in a very odd and quick way. I won’t bore everyone with the details, but it was just over 25 years ago with about 3 ft. of snow on the ground. It wasn’t planned; it just happened. We had only known each other for about 4 months and been engaged less than a month, but when you know, you know. God has been good to us and I’m thankful for 25 years and looking forward to 25 more. Congratulations on your new journey going back to school My husband and I just had a small wedding at my Aunts house nothing fancy but if he had lived this Dec. we would of celebrated our 46th year God Bless You! The truckers were on strike and my flowers did not come on. And it snowed so several people could not come. But, it was wonderful anyway. My husband to be was rubbing my chantilly lace dress during the prayer.